People often forget that an important reason for the crash and burn trajectory of Windows Vista, Microsoft's doomed operating system, was that it just could not stand up to Mac OS X Lion. Apple has now given its operating system a thorough makeover, moving the desktop operating system closer to the look and feel of the iOS operating system on iPhones and iPads. Several features are also carried over from iOS, such as full-screen applications, application rÃ©sumÃ© and other features such as auto save. The new OS provides support for several Indian languages: Bengali, Kannada, Malayalam, Oriya, and Telugu. In addition, Devanagari, Gujarati, Gurmukhi, Urdu, and Tamil have been expanded. Though you cannot set up and use your Mac in these languages yet, this might mean that an "Indian Mac" is not far away. Apple has your data and it wants to let you access it everywhere. Basically iCloud means you can access your content through a host of devices - iPhones, iPads and Mac computers (or compliant PCs). Users get fi ve gigabytes of storage free and music and apps purchases are not counted as storage. Where iCloud will help is in easy syncing of documents and pictures as well as iTunes music (which is still not available in India). 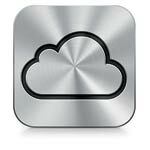 However, we will review iCloud again when it becomes available. While its desktop operating system is morphing a clone of its tablet OS, Apple's tablet operating system gets a massive upgrade and massive integration with Twitter. In the process, Apple has removed several of the features that irritated iPad and iPhone users such as notifications that wantonly pop up in the middle of doing something else. With 'Notification Centre', which is borrowed from the Android, notifications appear at the top of the screen which you can drag down. Inspired by the BlackBerry Messenger, Apple has also introduced iMessage on iPad and iPhone devices. The umbilical cord that connects the iPad to a computer, which means you cannot activate the iPad unless you hook it up to a computer, has been cut. No PC or even Mac is required. As with OS X Lion, Apple is gearing up for the post-PC era.